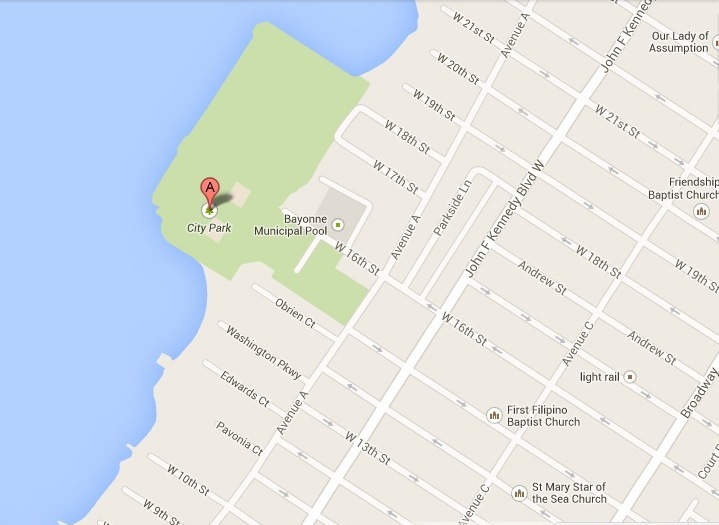 Games hosted by the Bayonne Bombers are currently located at the City Park in Bayonne, NJ. Take Hudson-Bergen Light Rail southbound to 22nd Street in Bayonne. Walk two blocks west to Broadway and four blocks south to 16th Street. Turn right at 16th Street and continue heading west for three blocks until you arrive at Bayonne City Park.